Queenstown is unashamedly an adventure capital – the birthplace of bungee jumping has a surplus of hair-raising things to do, but it also has a burgeoning health and wellness scene. Here’s our Listopedia of how to experience the best of Queenstown’s health and wellness for when you want to turn down the adrenalin. After a bit of on-snow time but not interested in hopping on a pair of skis or a board? 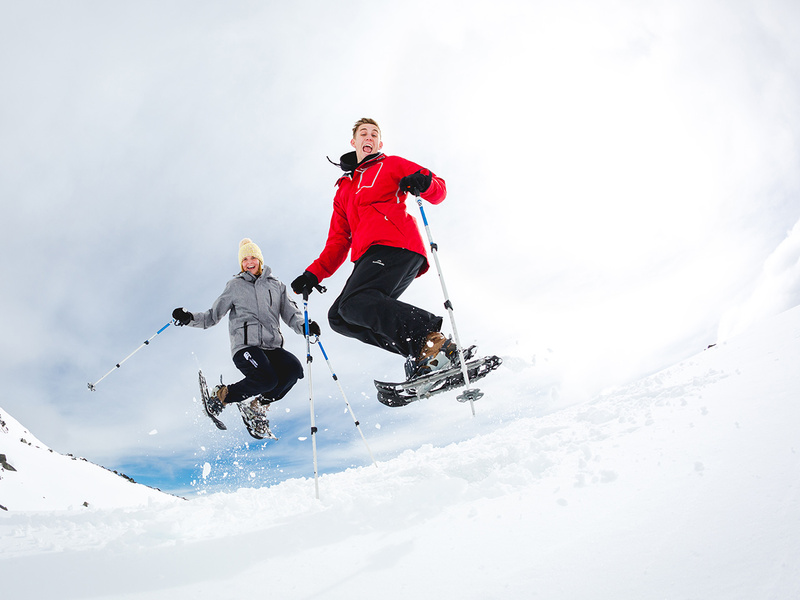 Snowshoeing is gaining popularity in the Southern Hemisphere as an alternative way to have some fun on the snow. NZ Snowshoe runs half and full day tours out of Queenstown where you’ll get out on the mountain without the hassle of lift tickets or even gear rental. You’ll start out at The Remarkables, strapping on snowshoes before hiking up the ski slope. Yes, up the slope. This is probably the hardest part of the entire day, but there’s plenty of stops, and soon you’re walking past the boundaries of the park and out into the wilderness. Snowshoes have come a long way from the tennis racquet-esque contraptions you might have seen on TV. They even have platform clips to help with the steep inclines. On the Snowshoe Adventure tour you’ll head up through the mountain passes, stopping for morning tea in a cave tucked into the snow, before heading out to The Remarkables’ famous frozen lake. Usually only accessible by off piste skiers, tramping out onto the snow-covered surface in your spiked shoes is good fun. And better yet, the hike back down the mountain is a breeze. The full day is a full workout so you can enjoy your après drinks guilt free with the rest of the après crowd. It’s not often that a hotel makes you feel like your wellbeing is truly a priority, but at The Sherwood, they’re all about making sure each guest feels like a part of their community. The Sherwood is one of Queenstown’s newest accommodation options and clearly no cookie cutter hotel. Guests staying in the converted u-shaped motel are encouraged to mingle by the open fire pits, partake in a yoga session, and then finish the night at the hotel’s popular restaurant which takes the hotel’s commitment to sustainability to another level. Daily yoga and pilates classes are held in the hotel’s eco studio and are only $15 per hour. The hotel’s Head of Wellbeing runs classes for all different levels, from an Awakening Power Hour, perfect for a pre-ski stretch, to a more challenging Mysore Ashtanga. Make time for a massage too – the deep tissue oil massage is a blessing on tired muscles, or try the more interactive Zen Yoga massage for something different. Aside from après drinks, hot tubbing and snowsports go hand in hand. Luckily that means that even if you haven’t been out on the ski fields, or you’re visiting during the warmer months, Queenstown is home to one of the most spectacular hot tubs. 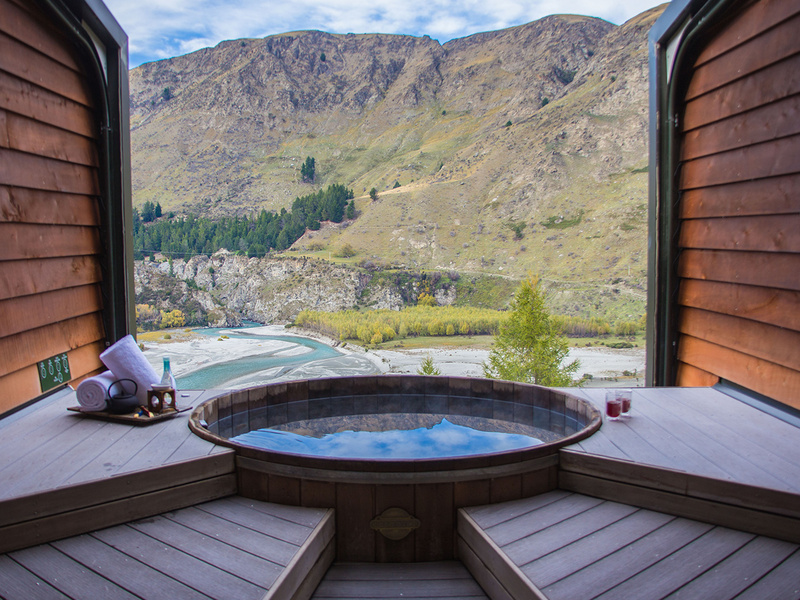 The Onsen Hot Pools are home to several private hot tubs that look straight out at the Shotover Canyon. Each pool sits behind a retractable glass wall that opens up so you can bathe with the fresh mountain air on your face. 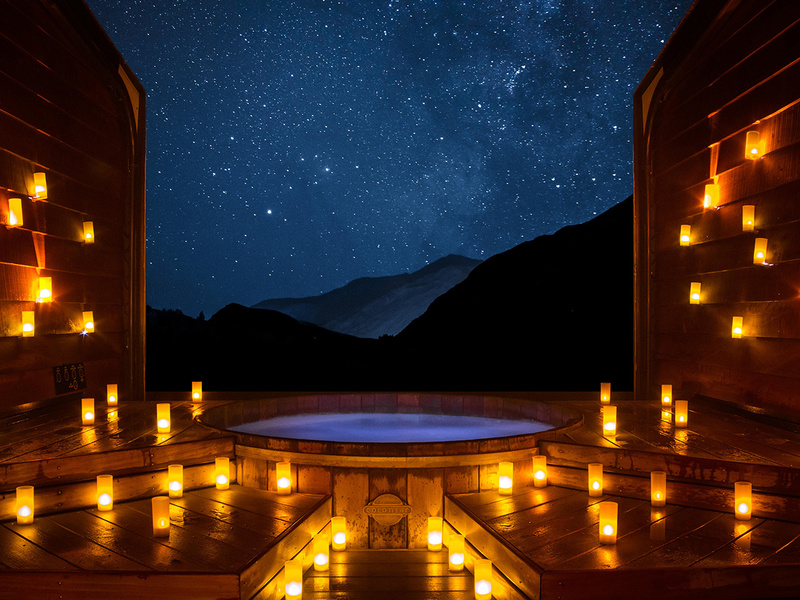 Evening sessions see you surrounded by the stars, along with dozens of candles, perfect for a special occasion or just to soak up the serenity. Emerging from a multi-million dollar rejuvenation, the Sofitel Queenstown has upped its game as one of Queenstown’s most exclusive addresses in town. Whether you’re staying at the hotel in the heart of town, or just seriously in need of some deep tissue work, the award-winning SO Spa’s treatments are worth booking stat. You’ll enter this softly lit spa and be whisked away to the land of bliss – book in a couples massage and make the most of in-room Jacuzzi and beautiful bath tubs. The Manuka honey facial uses New Zealand’s famed heritage honey to help soothe tired skin. Save time post massage to stretch out in the relaxation room, where attendants will literally tuck you in under a plush doona on a heated chaise lounge. Based on popular opinion, you’d be forgiven for thinking Queenstown’s food options extended to burger bars and pizza joints. Fergburger is one of the town’s most infamous residents, but if a big burger isn’t at the top of your list, check out Vudu Café & Larder. Just around the corner from Fergburger, this café has its own local and international following. Renowned for serving healthy breakfasts and lunches, the café is a great place to start the day, whether you’re after an organic quinoa porridge or chilli fried eggs. The homemade scones, brioche muffins and breakfast burritos are perfect for a fast pre-ski breakfast options, with plenty of vegan and gluten free treats available too.